News from LMCU: LMCU Spring Luxury Home Tour A Big Hit! LMCU Spring Luxury Home Tour A Big Hit! On May 20, LMCU’s 2017 Spring Luxury Home Tour gave participants a close-up look at eight high-end homes currently for sale in west Michigan. 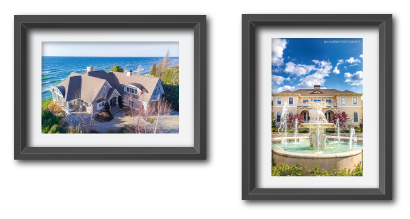 Partnering with local real estate offices, this tour showcased homes valued anywhere from $700,000 to $4.5 million. This free, self-guided tour was open to the public and featured some of the latest trends in architecture, design, décor, technology, appliances and landscaping. Potential buyers came from as far as Chicago to join in the excitement. Bacon said, “We’ve already begun plans for another Luxury Home Tour this fall!” Look for details coming this fall by visiting LMCU.org.